So – go right now to his web site – it’s free to join. It’s a social / Web 2.0 sort of site, with all sorts of options for participation. I’ve only had time to explore a small part of the site, but I was so impressed and excited, I had to get to blogging about it. Not to toot my own horn, but he’s saying some of the same things I have been trying to communicate for years. That there is no way to drill our way out of this mess. That we need to move on to other energy sources, and lose the petroleum habit. Pickens has also acknowledged that the peak of world oil production (known as peak oil) occurred in 2005, and from here on, it’s going to be more expensive and more scarce. 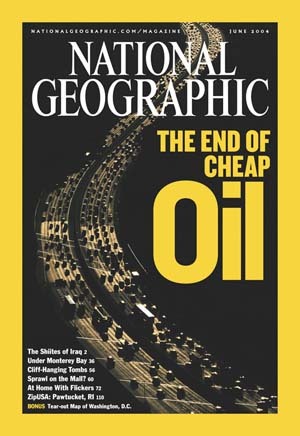 For more information on peak oil, and the petroleum crisis, check out a film called Crude Impact. Ask me, and I can loan you my copy. It’s an important documentary, and extremely serious. I want as many people as possible to see it. It’s kind of nice to be vindicated, to be sure. But it’s truly exciting to know that there are some smart, well-regarded people willing to stand up and put their names & fortunes on the line for a future where America isn’t sending all its money out of the country, impoverishing ourselves for no good reason. Now – let’s do this. The stakes are too high to just sit back and wait for the hammer to fall, because when it does, it’s going to fall hard.